No one can say it was ‘boring’! The Chancellor has presented his Summer Budget to Parliament. Here follows links to the speech in full, along with all related announcements and documents. Arts Council England: Our summary of the budget documents - what does it mean for the arts & culture? IPPR: The cuts to come - What will Budget 2015 mean for departmental spending? 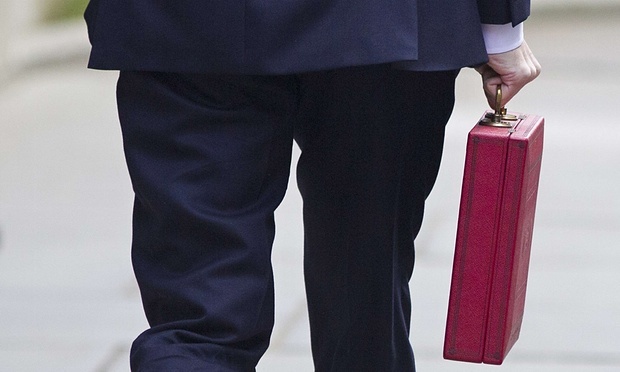 NEF: Budget 2015 - what next for the UK economy? How can public sector organisations use Agile at scale to quickly improve service? How can public sector suppliers meet buyer expectations? Two educational roadshows on Thursday 16th July in London will explain. A morning session for public sector buyers includes a case study from Neil Butler, Programme Manager at the Home Office on how they have adopted Agile delivery and new technologies to transform the services they deliver. The afternoon session will appeal technology suppliers and presentations will provide valuable insight into customer expectations and how to meet them. Public sector buyers can register here to attend the morning session and technology suppliers can register here to attend in the afternoon. Should the default SVT be the cheapest rate on offer? The Competition & Markets Authority has published its provisional findings after a comprehensive year-long investigation into the energy market. In a summary of its provisional findings, the CMA has highlighted a range of problems hindering competition in the market, including the extent to which consumers are engaged in the market & shortcomings in regulation and the ability to deliver change across the market. The CMA has set out an initial list of possible measures which could increase competition and ensure a better deal for customers. An extensive survey of 7,000 people in Great Britain found that over 34% of respondents had never considering switching provider. As a result, the report has found that dual fuel customers could save an average of £160 a year by switching to a cheaper deal. About 70% of customers are currently on the ‘default’ standard variable tariff (SVT) despite the presence of generally cheaper fixed-rate deals. The findings come as the Demos Integration Hub has identified that the level of segregation in English schools has remained stable or only somewhat declined as the nation’s diversity has increased substantially. This means that new population growth is not being spread equally throughout the country (Not really a surprise finding to most people – Editor). NIESR: Immigration: what's it doing to our schools? In a consultation, the Law Commission are considering the existing Deprivation of Liberty Safeguards (DoLS), and how they can be replaced with a new scheme that achieves better, more appropriate outcomes for people with care & support needs and reduces unnecessary burdens on local councils and the NHS. It is also considering the safeguards that are necessary for those receiving care & treatment at home and in other family and domestic settings. What does Adult Social Care look like across CQC's new ratings? NPC has published a new guide to systems change in charities to de-mystify the process and help practitioners engage with it. In the charity sector we bump up against ‘systems’ all the time. Whether it is a persistent re-offender or a young person about to leave care, individual problems are embedded in networks of cause & effect. Of course the decisions that individuals make – their capabilities, beliefs & attitudes, are of vital importance. But systems shape & constrain people’s choices and create situations they do not have the power to escape. From 3 July 2015, the Financial Services Compensation Scheme (FSCS) provides a £1m protection limit for temporary high balances held with a bank, building society or credit union if it fails. The change comes from the European Deposit Guarantee Schemes Directive. People with some types of temporary high balances will have FSCS protection up to £1m for up to 6 months. Things like the proceeds from a house sale or a redundancy payment qualify for this new protection limit. Councils may have been spared further budget slashes and the civil service may have to wait until the autumn statement for proper details on spending cuts, but the public sector will still be hit hard by the changes to welfare and housing ushered in with George Osborne's summer budget last week. Not to mention the 1% cap on public sector pay, now set to continue for another four years. Is the devolution rhetoric and slightly slower pace of deficit reduction enough to offset your fears about the future of public services? Are you a civil servant worried about your job or a probation officer terrified about the future of your service? A council chief executive who thinks the workload piled on staff has gone beyond good will? Have you had a harrowing experience with an increasingly vulnerable resident, or a tense exchange with a politician? Are you proud of the determination and perseverance of your colleagues? In a new, anonymous series, we want to hear about what it's like for those working in public services, coping with cuts. Contacttamsin.rutter@theguardian.com if you have a story to tell. We will not reveal anyone's identity.